Select a school year to view and download available newsletters in pdf format. March 14, 2019 : Full Scale Evacuation Drill Tomorrow! February 19, 2019 : Grade 2 Field Trip is ON! February 13, 2019 : SCHOOL IS OPEN! February 11, 2019 : Pizza Lunch Update! January 21, 2019 : Christmas Concert Link AVAILABLE! January 13, 2019 : Congratulations to the Kuester Family! December 21, 2018 : THIRD APPEAL: January 6, 2019 - Grade 6 Bottle Drive Help Needed! December 17, 2018 : SECOND APPEAL: January 6, 2019 - Grade 6 Bottle Drive Help Needed! November 28, 2018 : Hot Lunch Orders due tomorrow! October 11, 2018 : Terry Fox Run Tomorrow! June 21, 2018 : Snack Day Monday, June 25, 2018! June 17, 2018 : Happy Father's Day! May 26, 2018 : Reminder PEC Elections this Weekend! May 13, 2018 : Happy Mother's Day! April 16, 2018 : Reminder: Grade 4, 5, 6 and 7 Parents - CISVA Sexuality and Your Child Workshop Tonight - 7:00 pm! February 22, 2018 : REMINDER - AGM TONIGHT 6PM! January 1, 2018 : Hot Lunch Program - Term 2 Reminder! September 26, 2017 : Hot Lunch Reminder! September 15, 2017 : Help Needed Today! 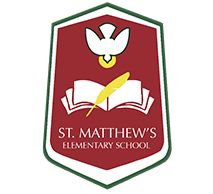 September 2, 2017 : SMES Newsletter - Back to School!